Using a critical ethnographic research model, Davis interviewed fourth and fifth graders at two schools committed to empowering black children; one school emphasized cultural legacy and individual achievement, while the other employed a place-based, communal model. The children also drew pictures as part of their conversations, depicting what it means to be black and illustrating their experiences at school. Davis found that the cultural environment of schools influenced the children, who keenly grasped both the intended and unintended messages from their surroundings. For example, all students noticed blight in their neighborhoods and city. In the school with the individual focus, the students often expressed more singular explanations, such as the house might have been abandoned because something was wrong with it. They imagined solutions that would improve the problem one house at a time. Children at the other school typically conveyed more systemic explanations, which included white flight and the history of the area, Davis said. “They were often thinking about how abandoned houses may be part of larger structural issues we need to address,” she said. Her results suggest that schools profoundly inform social and political learning. Also, there’s potential to create educational environments that build a critical awareness in children while allowing them to still be playful and joyful. 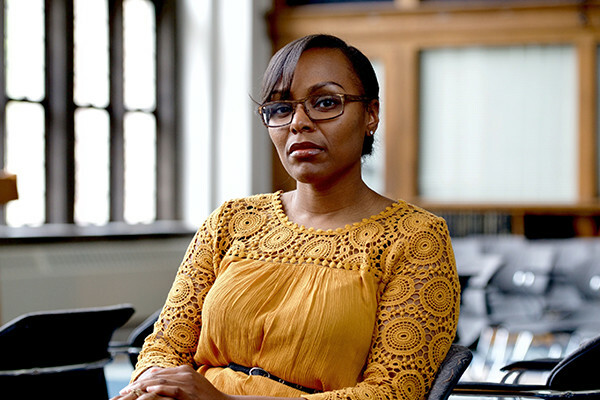 Davis, who received her doctorate from the University of Michigan, will discuss her work in a presentation titled, "’That's What I Want It to Look Like’: Honoring Black Children's Knowing in Ethnographic Research” at the AERA’s annual conference.